We are excited to introduce you to our new designs, known collectively as The Eastern Collection. Our starting point has been our long term fascination with the tones, textures, culture and history of the East, specifically Japan; out of which grew an interest in a 14th Century Japanese textile technique of space dye, called Kasuri. Space dying is a technique where dye is randomly applied to yarn to create, when woven, an organic evolving pattern. 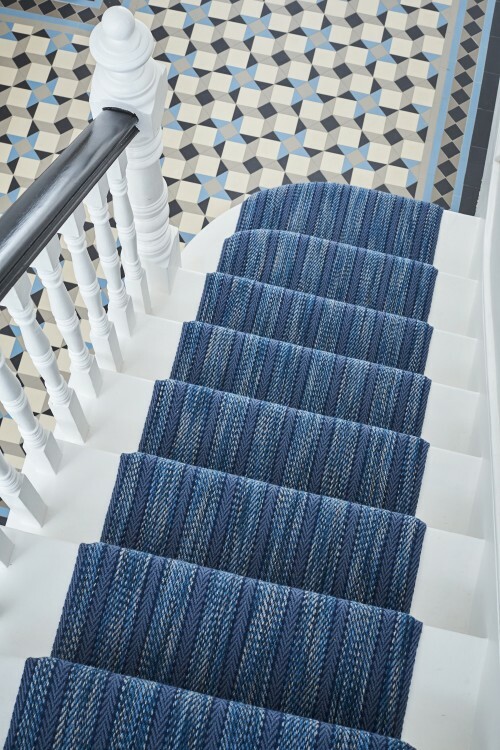 We worked with our dyers to re-create this space dyed effect which we’ve combined with our own signature herringbone. 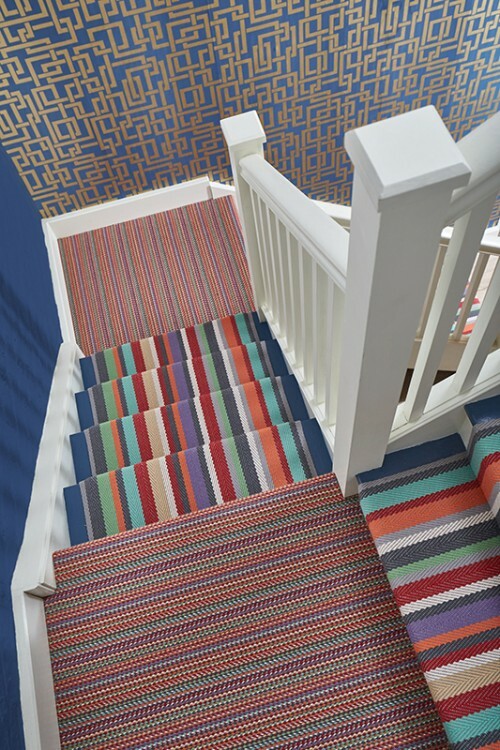 The result is Kasuri, a painted stripe in three distinct colours – Indigo, Cherry and Oynx. Sitting alongside Kasuri and continuing our Eastern inspired collection, are Kobe and Kyoto; brightly coloured lanterns, cherry blossoms and volcanic landscapes influenced our colour palette here. Kobe and Kyoto have been designed to marry with their corresponding colour ways, while holding true to their own individual style. Allowing us to playfully experiment with texture and scale, which allows you to create a truly original look. Kobe is a subtle flecked stripe, a subtle balance of colour and has evolved from an archive design. While Kyoto takes the stripe detail of Kobe and amplifies it to a theatrical scale. Kyoto’s large stripes are non-symmetrical yet still keep a harmonious sense of colour and tone. In the coming weeks we will take a closer look at the new collection to give you a more detailed insight in to all of the new designs, so don’t forget to subscribe. Check out the full collection here and let us know your personal favourite.